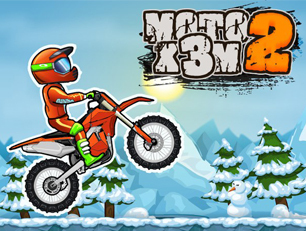 The second part of the game with cool stunts and motocross! You wait 22 a very dynamic level. Put on your helmets, check your motorcycle and start a contest to show the best time on all stages. Perform difficult stunts to get maximum points and extend the time of performance.